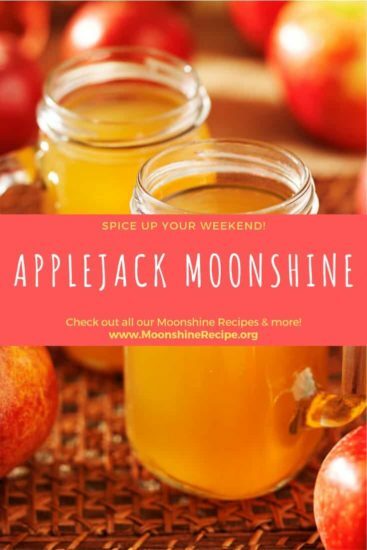 Applejack moonshine is probably as old as the USA, and it’s darn good drinkin’ if you ask us. 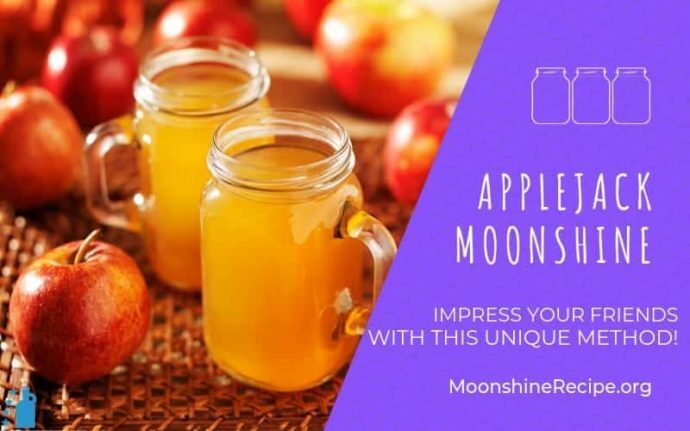 Making this one, however, is a bit different from what you’re probably used to as a moonshiner. Instead of using your beloved still, you’ll be exploring the fascinating world of freeze distillation, which is rumored to have started vodka production in the first place. Here, instead of making alcohol evaporate at a higher temperature than water, you’ll be actually freezing the water and removing it from cider to make the drink more alcoholic. Best part is that you won’t have to deal with managing the cuts or any of that standard distilling business. Does it takes patience and practice, yes. Is it worth it? Absolutely. A historical method to a unique and tasty beverage! Impress your friends by making your own! Pour one gallon of apple cider into the boiling pot, heat it up to about 160°F then mix in the sugar until dissolved completely. Mix the resulting syrup with the remaining 4 gallons of apple cider in a sanitized fermentation bucket. Let mixture cool to below 75 degrees and then add yeast. Cover the bucket with an airtight lid, place the airlock and let ferment for a minimum of five days until complete stop of any activity in the fermenter. The airlock shouldn't have any movement for 1-2 days. After fermentation is complete, separate the liquid from the yeast by siphoning off the liquid into a separate storage vessel. Put the vessel with the strained cider into the freezer. Check back periodically for ice crystal formation atop of the liquid and remove them. The more ice you remove, the higher the proof will be of the remaining cider. Typically, ice formation will slow significantly around 30-40% ABV. Cider Yeast contains a few different strains that are more effective at fermenting the cider base. We can’t guarantee how things’ll turn out if you use a standard bread or distiller’s yeast. We’ve always stuck to the pro’s recommendations for this recipe. Picking out the frozen ice with your hands invites all sorts of new bacteria, skin oils, and whatnot into your hard work. Even with clean or sanitized hands. Especially since you’ll be dipping in there many times to remove the ice. We recommend you sterilize (run it through the dishwasher) a metal scoop specifically intended for food and use that each time. We use one of these for many things around our distillation but it’s perfect for scooping out your ice and leaving behind the good stuff! Since you’ll be pulling the mixture out of the freezer and placing it back each time you want to remove the ice, it’s best to use a plastic storage vessel for this part. You certainly want it to be clean and sanitary since it’ll be housing your final product, but using a glass jug that weighs 40lb empty will be hazardous to deal with. The upside is, you’ll have a backup fermentation bucket should you have a problem with your glass ones or get caught short of hand in the middle of prepping your mash! Does this need to be distilled somehow to remove methanol from the fermentation process? A friend of mine used to make applejack using cider, lemons, rasains,sugar,oranhe’s and sugar. Mixed in a 35 gallon barrel. I had the recipe but lost it and he has since died. Does this sound familiar to anyone? He always had it in a oak barrel after it had fermented. Can this be put in mason jars and left at room temp to store?